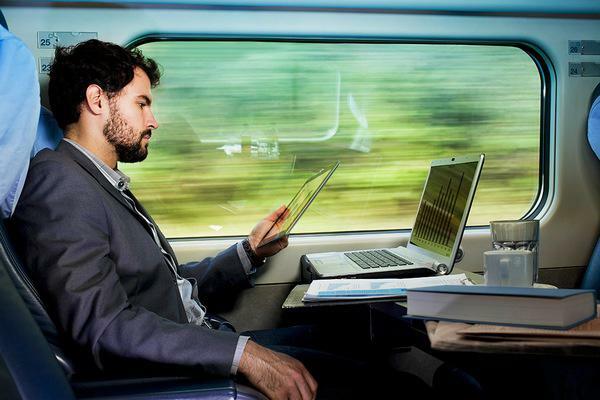 Passengers will no longer have to suffer with the mobile Internet which regularly disappears as soon as a train passes throug the forest or seppe. A railway company Ukrzaliznytsia (UZ) has already reported on the innovation on its official website. National 3G operator “Intertelecom” launches the wireless Internet not only in trains of Intercity and Intercity+ class but also in several passenger UZ trains. Firstly “Intertelecom” will test the Odessa-Kyiv train and then the Odessa-Kharkiv one. Internet surfing won’t be limited to the traffic or time, as the press service of “Intertelekom” states. A sleeping-car and a compartment car of a passenger train №106 “Chernomorets” of Odessa-Kyiv service have antenna, routers and other communication equipment, the railmen boast. At the moment a free Wi-Fi access is provided in a test mode for passengers in two carriages. Over two weeks the provider and passengers will test the connection. After summing up the results of this experiment, Odessa railway ausorities will decide whether or not to spread the wireless Internet on other Ukrainian trains. The next step of the implementation of Wi-Fi is a second-class train №60 “Chaika” of Odessa-Kharkiv service.